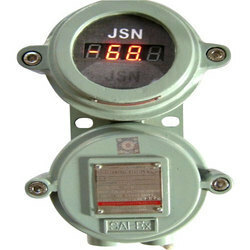 Prominent & Leading Manufacturer from Vadodara, we offer flp indicator. Usage Measure the Process Parameter like Temp., Press., Flow, pH etc. Our experts hold skill in assembling an one of a kind scope of FLP Indicator. These items are broadly used to serve different modern applications. We offer this extent at sensible costs to our customers. Besides, our reach is suitable for gas gatherings of I, IIA and IIB. These items are exceedingly acknowledged for gimmicks like weatherproof & flameproof lodging.